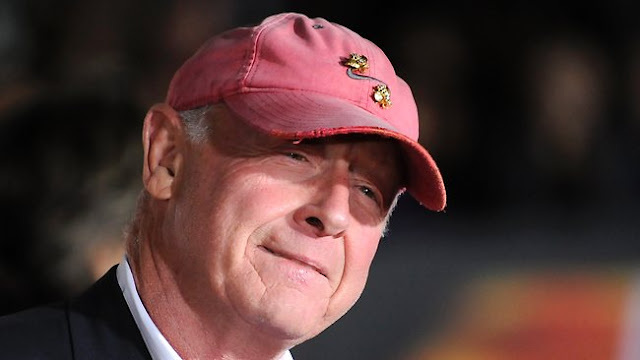 I was devastated last night to read of Tony Scott's suicide in Los Angeles. One of the most exciting filmmakers working in Hollywood today, Scott had been on a hot streak of exquisitely stylish genre movies for years, from 2004's ideologically dubious but aesthetically revolutionary Man on Fire through 2010's exercise in pure cinema, Unstoppable. His late career works resemble abstract paintings, dotted with splotches of color laid over each other with frenetic abandon and interpretative elusiveness. Using handcranked cameras, superimpositions and other techniques nearly as old as the cinema itself, Scott set down a modern blueprint for filmmaking, one that has been imitated but never equalled for its cumulative technical and tonal effect. The Michael Bays of the world have since thrown all their coverage into one hulking mass in an attempt to match Scott's kinetic fury, but they wind up only with incomprehensible messes where he somehow emerges with some of the only auteurist statements of Hollywood blockbuster cinema. I can think of no other mainstream director so readily capable of reconstructing the nature of memory. His finest two works of the Aughts, Déjà Vu and Domino, are both fractured narratives driven by the skewed perceptions of their leads. In these movies, the overlapping, conflicting, obscuring nature of their recollections ultimately set to work on the present itself, changing the couse of events through sheer force of aesthetic will. So outlandish is Domino that one almost believes it can alter the fate of the real Domino Harvey, who died a few months before the film's release. To attribute a director's movies to their own mental state is a gross misapplication of auteurist criticism, but part of what makes this death so shocking is the indefatigable optimism of Scott's work. In an age dominated by lazy cynicism and irony, Scott would upend whole narratives to get a happy ending. Most famously, he altered Quentin Tarantino's intended, dark denouement for True Romance to one of hard-won joy, offering as justification only, "I wanted these characters to live." An almost childlike defense, but one also containing the innocence and blunt purity of a child. It is also, frankly, an improvement upon Tarantino's script, turning his hip, nonlinear exercise into something fluid and, as my good blogging friend Andreas (his superb site here) put it on Twitter, "surprisingly lyrical." In retrospect, it might have been Scott's treatment of Tarantino's screenplay, more so than Pulp Fiction, that really showed the power of Tarantino's writing. So often criticized for favoring style over substance (I do not have the energy to combat that ridiculous uncritical phrase right now), Scott's overwhelming style has run through my thoughts all day. I think of the horrific crashes that dot the giddy cheese of Days of Thunder. The almost lilting approach to the ultraviolence of True Romance, turning its climactic shootout or Patricia Arquette's savage fight for survival against James Gandolfini into fairy tales without losing the repulsiveness of the carnage. The way that subtitles are transformed from a focus-absorbing block of text at the bottom of a screen into an interactive part of the full visual picture in Man on Fire. The breaking of a silo car in Unstoppable, making the frame literally grainy as the contents of the train compartment billow out in a blizzard. The lighting of Keira Knightley's face when she fires a machine gun in the climax of Domino, the bursts of muzzle flash illuminating her anguished, furious face in a series of stuttering freeze frames. The dark tunnel where Travolta's character strands his hostage train car in The Taking of Pelham 1 2 3, inexplicably soaked in neon colors because why in God's name not. The time-bending car chase in Déjà Vu, almost prescient in anticipating a world of tablets and Google Glass with its multiple screens and images laid over each other in kinetic oblivion. Or, of course, the looming image of Paula Patton in the same film, haunting Denzel Washington's hero as much as Kim Novak torments Jimmy Stewart in Vertigo. These flourishes, and so many more, continue to fly through my mind at the same speed with which Scott threw them on the screen. I still have so many of Scott's films to watch, pre-9/11 works I must see for the first time or revisit and reassess. I had looked forward to that for some time, the chance to catch up with the director I found more exhilarating and, yes, substantive than nearly anyone else operating in the American mainstream. But now each ticked off box on the checklist will bring a tinge of regret, the awareness that I am exhausting my supply of "fresh" Tony Scott experiences, which can never be replenished. I can take some comfort, though, in the knowledge that those same films will surely offset some of that sadness with their inevitable triumphs, of happy endings so shameless that gross implausibility could not dampen their spirit. I can only hope they continue to have that effect.